Black veggie leather look high heel shoes with 4 1/2 inch shinny chrome lightning bolt stiletto heels. 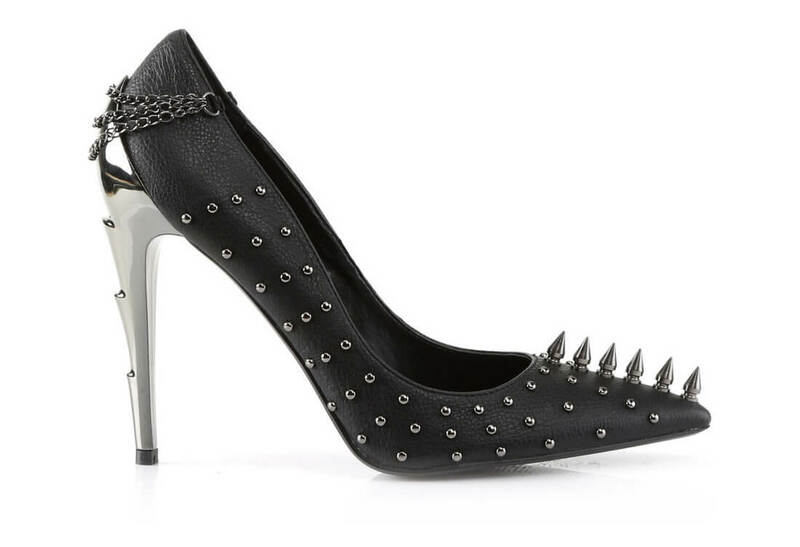 These are some serious looking heels with mini studs running up the sides and a line of spiky studs running down the toe. 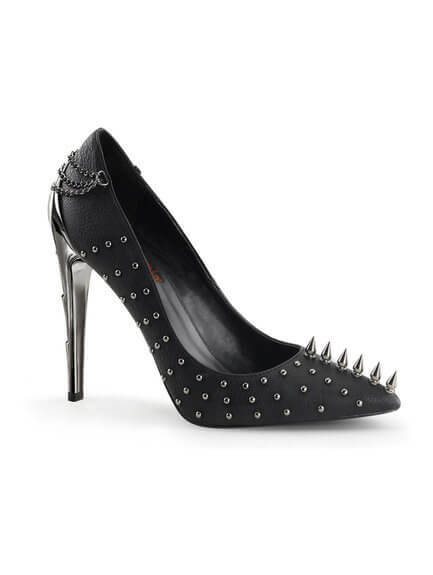 The added chain ornament on heel completes the look. 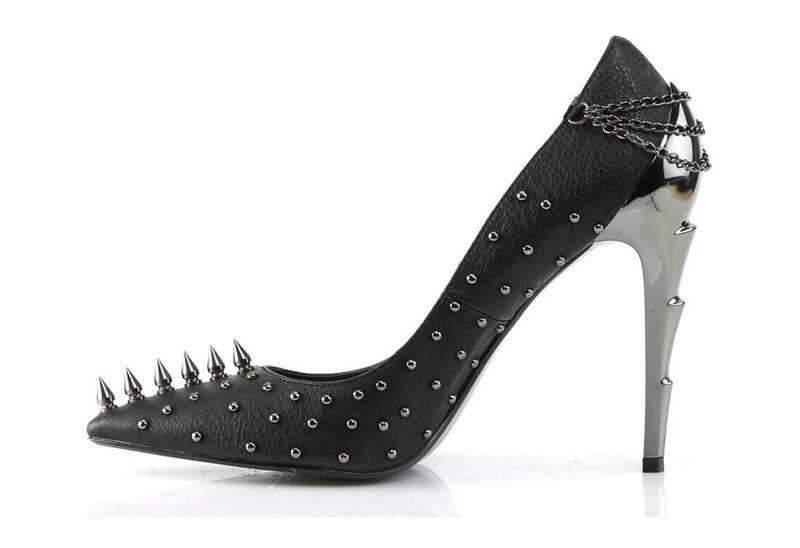 A great looking pair of heels from Demonia.